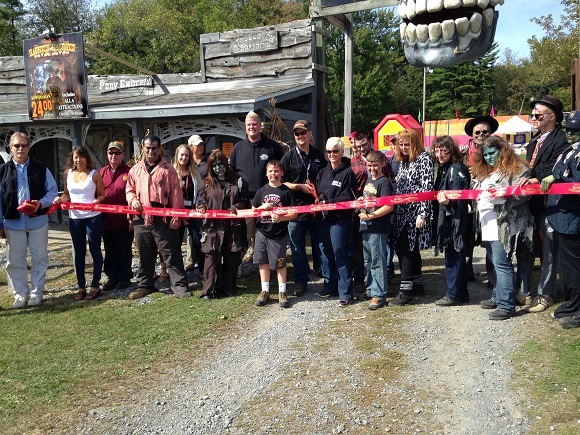 A ribbon cutting to Celebrate 25 Years of Fears at the Double M Haunted Hayrides. Double M is located at 678 Route 67, Ballston Spa. The Haunted Hayride weaves through the haunted woods on a tractor-drawn wagon. Each wagon has a narrator on board to guide the way through the darkness. Around each and every corner there's a frightful scene and behind each and every tree lurks an uninvited guest waiting for you! Their woods are filled with terror and surprise, an atmosphere sure to make you scream! It's an annual tradition that you just can't miss.